Hirtle Callaghan has named Erica Evans as Head of Client Engagement. The position which is new will see Ms. Evans work closely with the investment officers to to ensure an excellent client experience. Pictet Asset Management, has named Doc Horn as head of Total Return Equities. Mr. Horn who moves from hedge fund UBS, will report to Chief Investment Officer Equities, Philippe de Weck. The Vontobel Quality Growth Boutique has added three new experts to its long-tenured and stable investment research team with the appointment of Igor Krutov as Director of Research, a new role, Rob Hansen, CFA, and Ian Chun, CFA, as Research Analysts based in New York. Acadian Asset Management has appointed Mark Roemer, the former Allianz Global Investors small-cap specialist as a Vice President in their office in London. He will take responsibility for development of their equity investment process, help implement new equity, long/short and managed volatility strategies and becomes a member on the company’s portfolio management team. JPMorgan Asset Management has hired Jani Venter as an Executive Director in the $3bn defined contribution property portfolio management team, based in New York. Angus Woolhouse has moved from Barings to join BNY Mellon’s Insight Investment as Global Head of Distribution. Neuberger Berman has hired Bin Yu as Portfolio Manager. He also brings four research analysts from CloudRidge Capital with him. He and the team will carry on managing the current strategy as a private fund, while growing the offering in line with client requirements. Hiroyuki Ito will retire from fund management at Fidelity International next month and will be succeeded by Takuya Furuta, who officially steps in on September 1. Former CEO of Waverton Investment Management, Hugh Grootenhuis has joined the Charles Stanley board as an independent non-executive director. this is subject to regulatory approval. Alan Cauberghs has been promoted to Head of Private Assets at Schroders. The new role which pulls together a number of alternative investment solution categories, including some of the insurance-linked securities business at the firm via Secquaero, in order to provide clients with a holistic range of alternative private asset options. Paul Zoltowski has been appointed Client Director at Church House Investment Management to lead business expansion, growing the private client base and the intermediary client market. He moves from Sanlam FOUR where he was a Client Relationship Manager. The Pensions and Lifetime Savings Association has named their new CEO as Julian Mund. He succeeds Joanne Segars, who resigned in June to chair the new wealth fund LGPS Central, that oversees assets of nine Midlands-based local-government retirement schemes. Russell Investments’ investment implementation services business has confirmed that MD, President and CEO, Troy Rucker, and Head of Currency Strategy Michael DuCharme, have left the firm. MD of Global Trading Robert Bishop will leave in August. No further details were available. David Lake has been named head of ETF Sales for UK and Ireland at Lyxor ETF where he will oversee their distribution efforts, build the UK sales team and support existing and prospective clients. Mr. Lake will report to CEO for Lyxor Asset Management UK, Matthieu Mouly and be based in London. He succeeds Chanchal Samadder, who has been appointed head of Equity ETFs. Michelle McGrade, former chief investment officer of TD Direct Investing has moved to become CIO at Virgin Money. She is responsible for building out its investment proposition. BlueMountain Capital Management has named Claudio Macchetto formerly Head of Global Platforms at Paulson & Co. as Head of Platform Distribution, responsible for marketing the BlueMountain’s diversified alternative investment strategies to wealth management channels and private banking platforms and for management of retail distribution relationships globally. This is a new position at the firm. 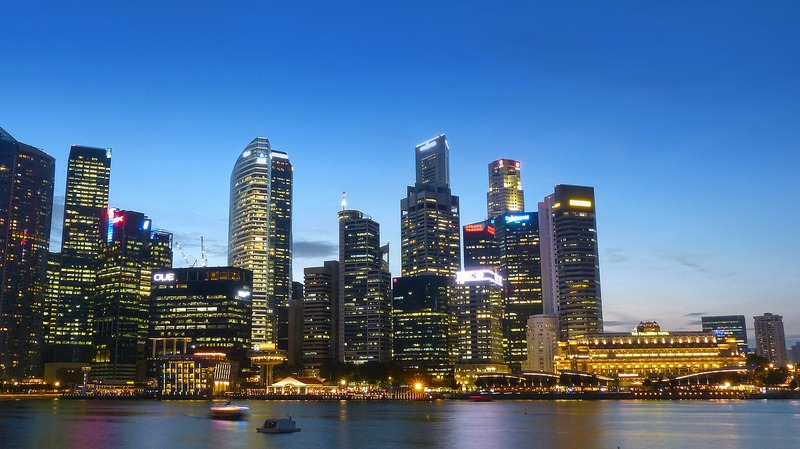 Värde Partners, has hired Kevin Tham of BOA Merrill Lynch in Singapore. Citic CLSA Securities has hired Steve Lam as Head of their Equity Syndicate Desk, and named Nathan McMurtray to Head their move into the equity-linked business. Bill Chu has been appointed as an MD in the China Investment Banking Services team at Goldman Sachs. He was previously Head of Asia Consumer and Retail at Deutsche Bank. Paul Cahalan has been named European Head of Leveraged and Acquisition Finance at HSBC. He moves from Deutsche Bank, where he was an MD and senior member of the EMEA leverage debt capital markets business. Deutsche Bank has named Philip Asp as Head of Benelux and Nordics, and Zoltan Kurali and Faisal Rahman as Heads of Central and Eastern Europe, Middle East and Africa. Gerald Podobnik becomes Head of Financial Institutions for Germany, Austria and Switzerland, in conjunction with his roles as Global Head of Capital Solutions and co-Head of FIG origination for EMEA. Podobnik’s co-head of FIG origination, Jonathan Gold, will look after UK and Irish financial institutions. Ole Matthiessen and Marc Mueller head Germany, Austria and Switzerland. Mueller also co-heads of corporate bonds for EMEA with Conor Hennebry, who leads UK and Irish corporates. Emmanuel Duclos heads France, Anna Lucarelli – Italy, and Virilo Moro looks after Spain, Portugal and Greece. On the product side, Praveen Bhandari will lead emerging markets, Peter Diamond heads the sovereign, supranational and agency business, Amedeo Ferri-Ricchi looks after FX for EMEA, and Anna Lucarelli and Nick Corcoran run rates. Dominik Thumfart stays in position as Head of FSG transportation, infrastructure and energy origination. Patrick Dominick has joined PNC Wealth Management as Senior Vice President and Wealth Director for the Chicago wealth management team. Dominick will have oversight of investment management, wealth planning, private banking, trust and fiduciary services. Julius Baer has appointed Nelson Ip from UBS to its Hong Kong team. Grant Thornton has named Edward Draydon as a Partner and National Head of Private Wealth, leading their Australian private wealth business. Mr Draydon was previously Client Director, Private Wealth and Family Office at Myer Family Company. Diamond Gas, a Mitsubishi subsidiary trading in liquefied natural gas, has named Henry Lee to help start their derivatives desk. He joins from Goldman Sachs, where was an Executive Director and ran the LNG franchise in Asia Pacific.